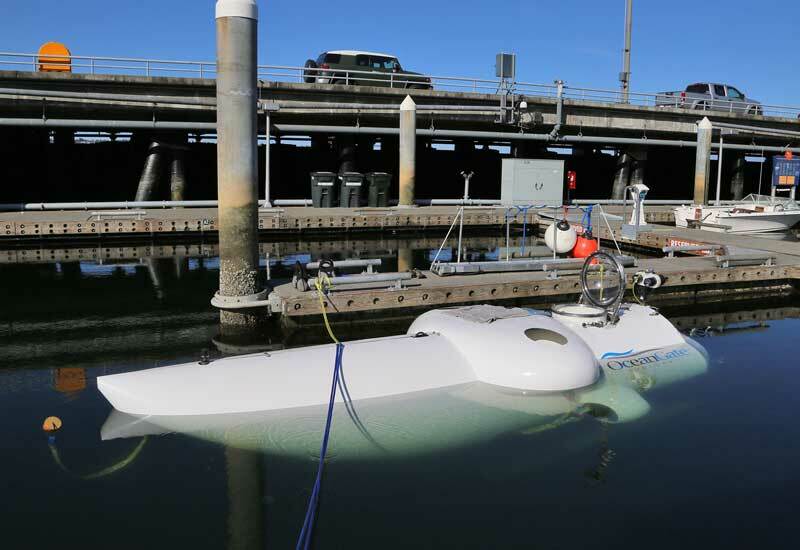 The Cyclops crew performs a ballast test in the marina. 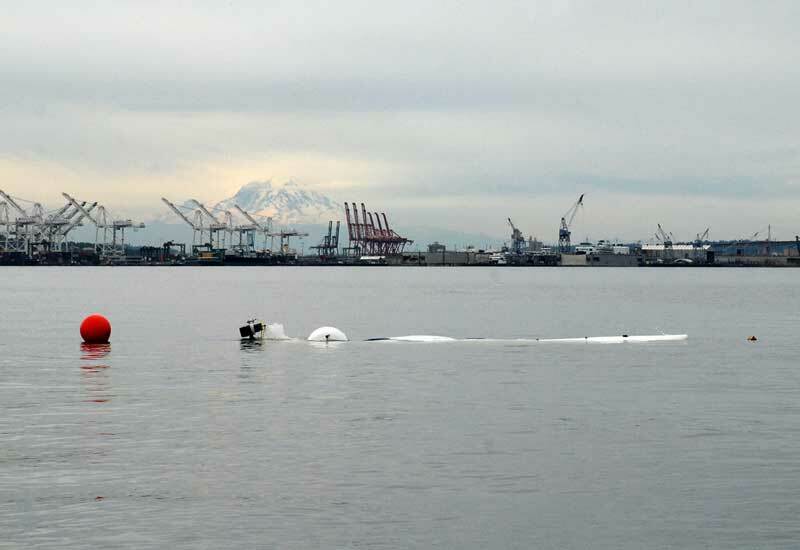 Cyclops descends into Elliott Bay in Seattle with Mount Rainier in the background. 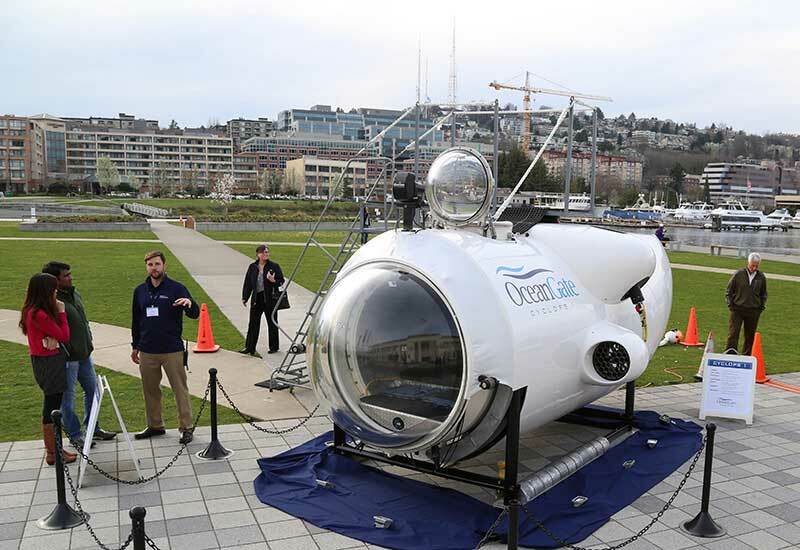 Students from Seattle Central College pose with Cyclops in Seattle. 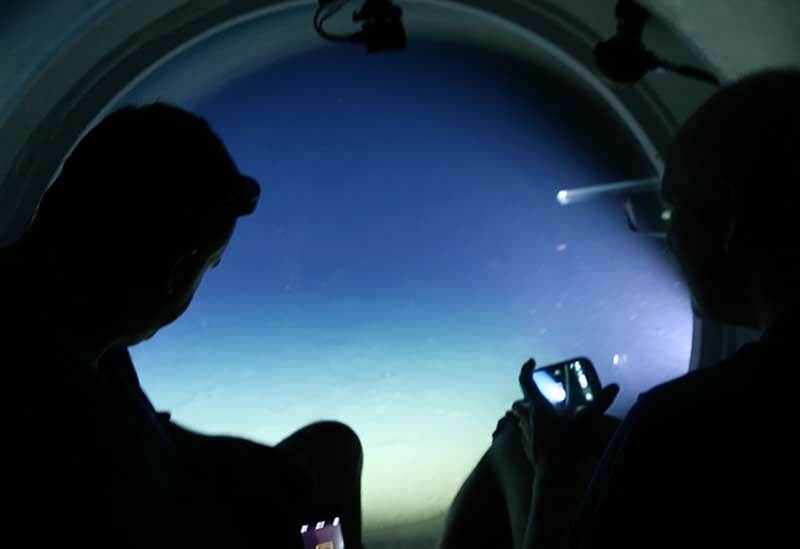 Cyclops crew views a bubble display while ascending to the surface. 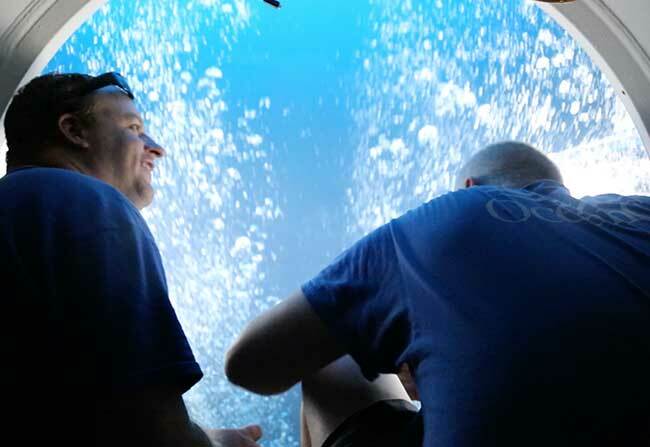 Cyclops crew get a view of the Gulf of Mexico from a depth of 457 meters. 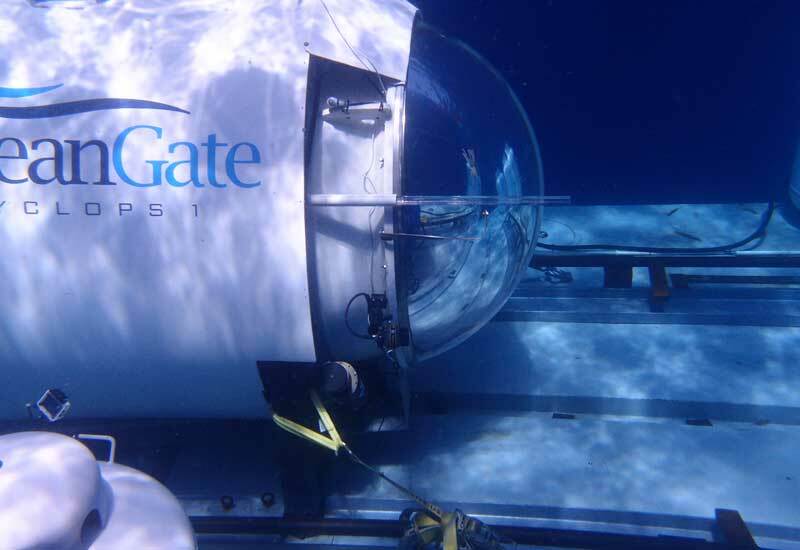 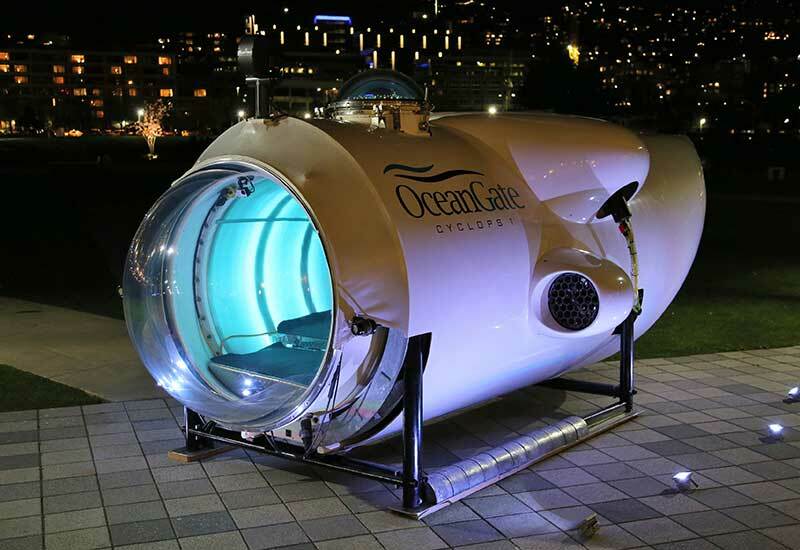 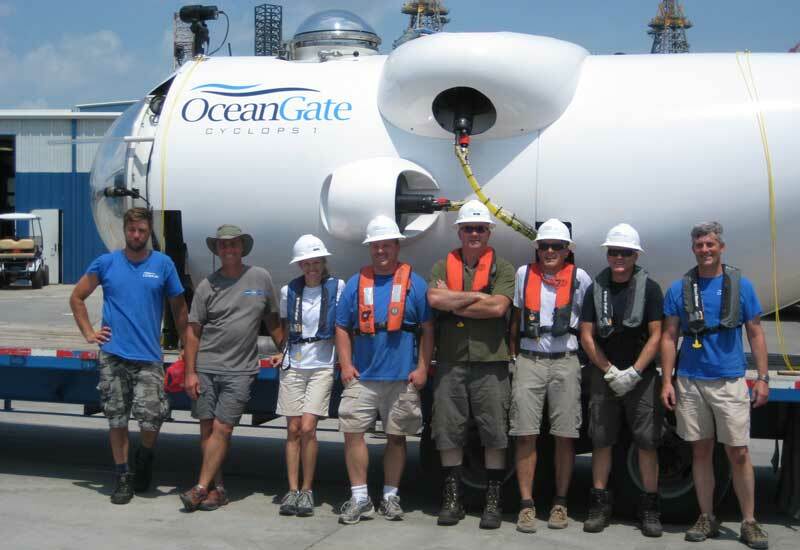 Submersible crew boards Cyclops on OceanGate's Launch and Recovery System (LARS). 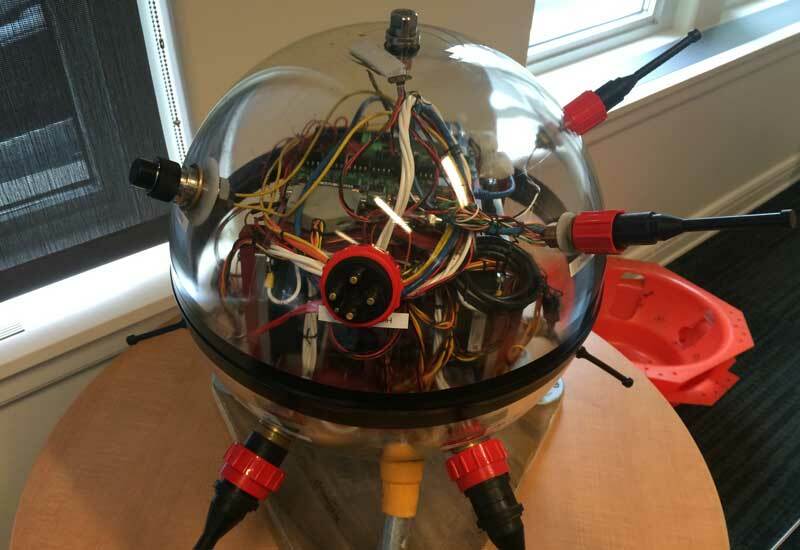 One of the two control spheres that house Cyclops' electronics outside of the pressure hull. 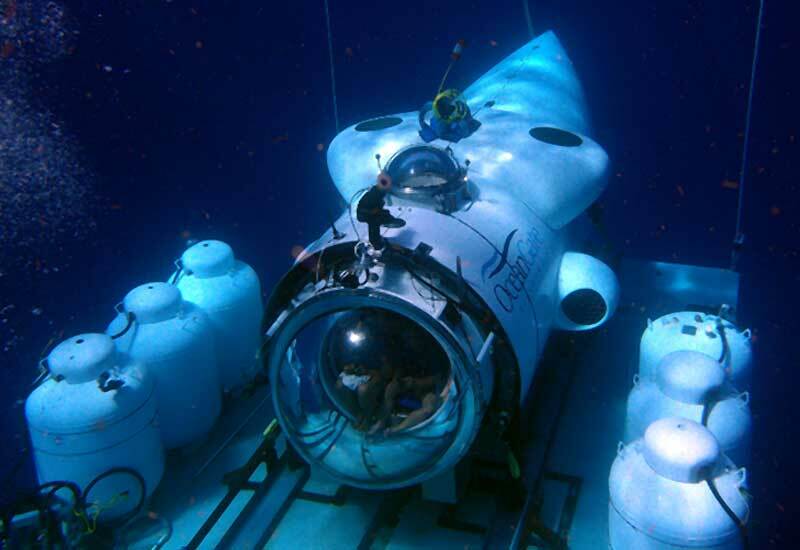 Crew aboard Cyclops prepare to lift off of LARS to begin a dive. 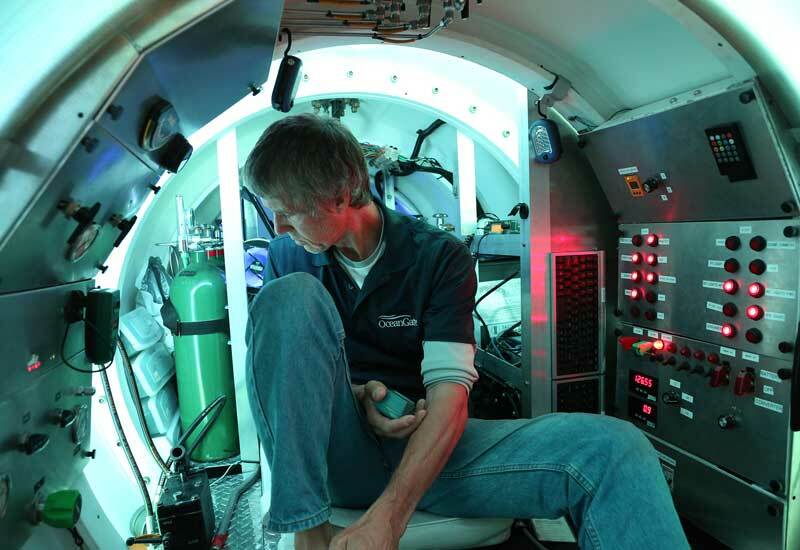 Submersible pilot performs a pre-dive check of life support and communication systems. 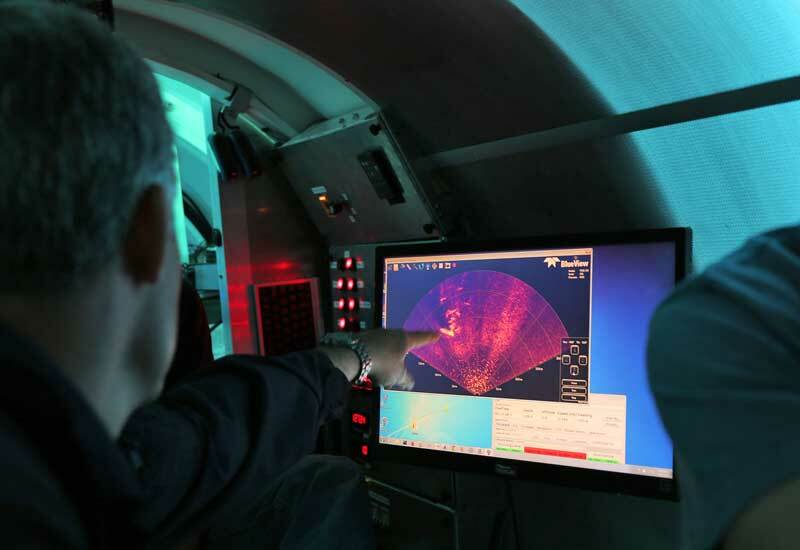 Cyclops' pilot uses 2D sonar images to safely navigate around submerged objects and shipwrecks. 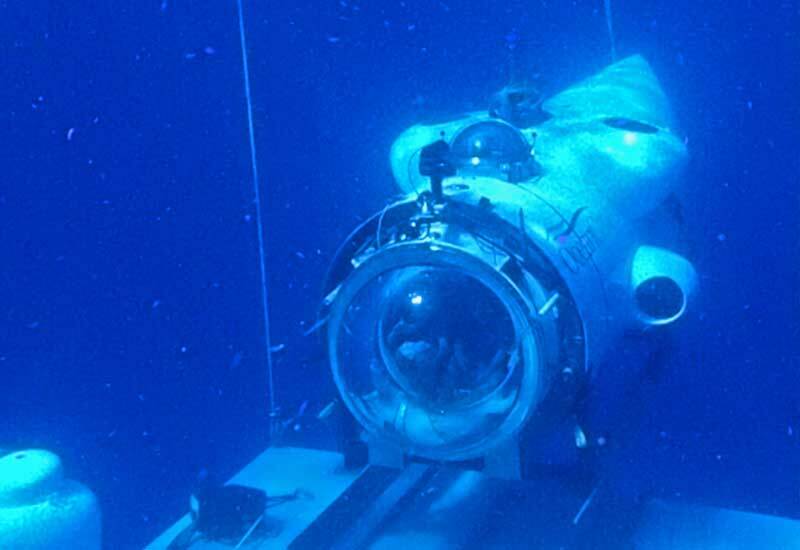 Cyclops aboard LARS submerged to a depth of about 5 meters. 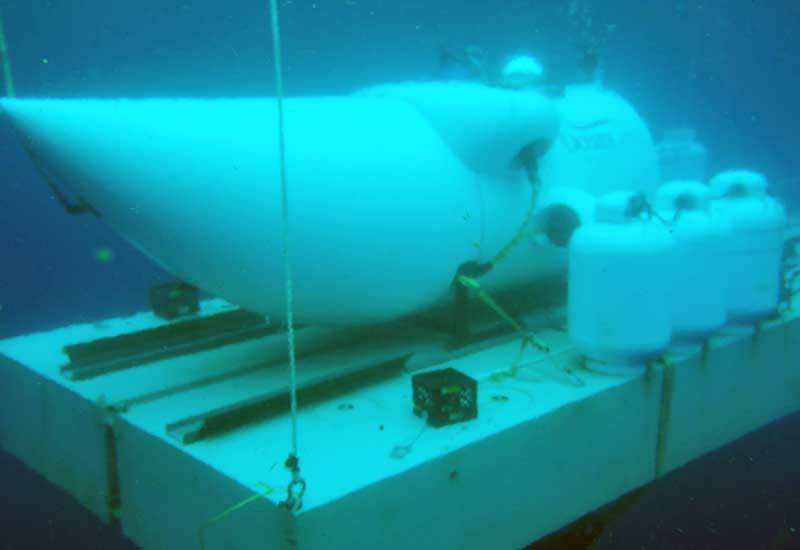 LARS provides a stable underwater platform for Cyclops. 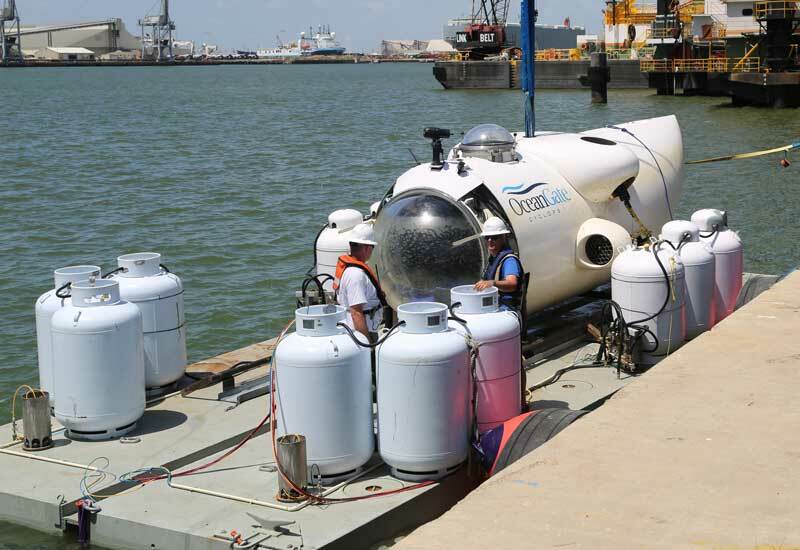 Cyclops crew prepares to lift off of LARS to begin a dive. 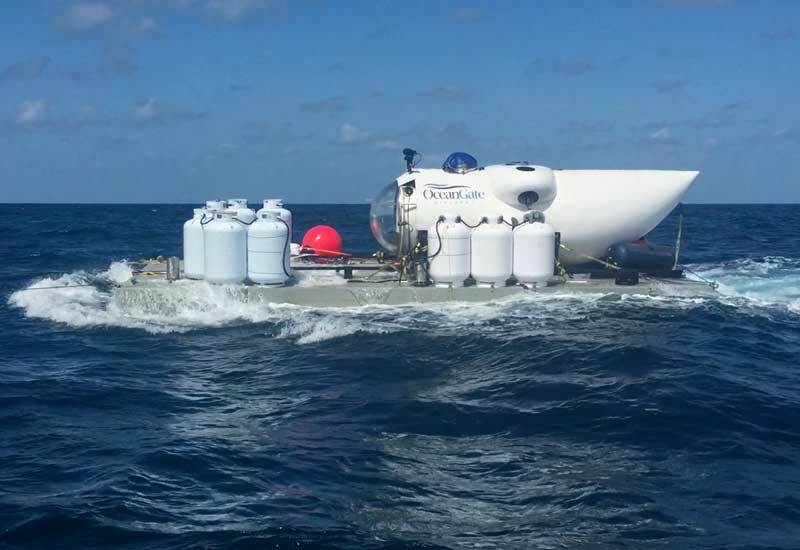 Cyclops aboard LARS being towed to a dive location in the Gulf of Mexico. 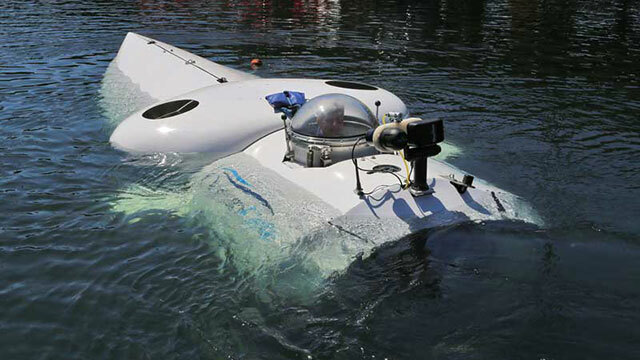 Front view of Cyclops aboard LARS. 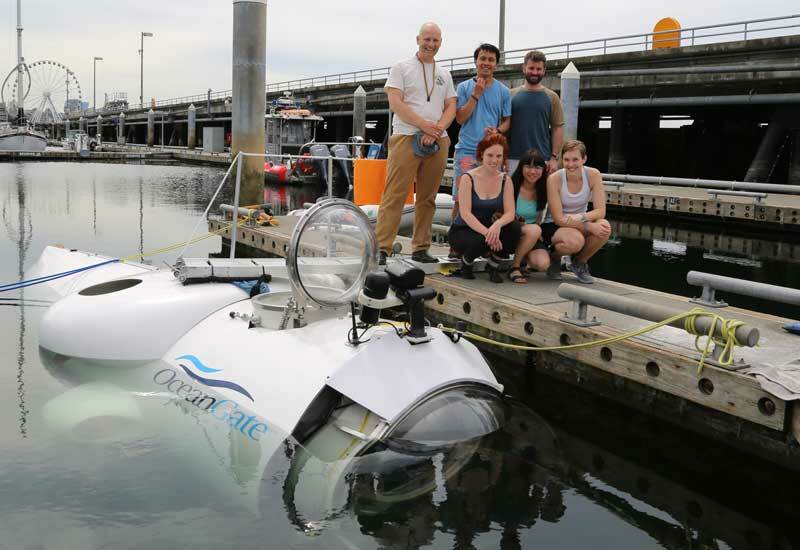 The OceanGate operations team with Cyclops. 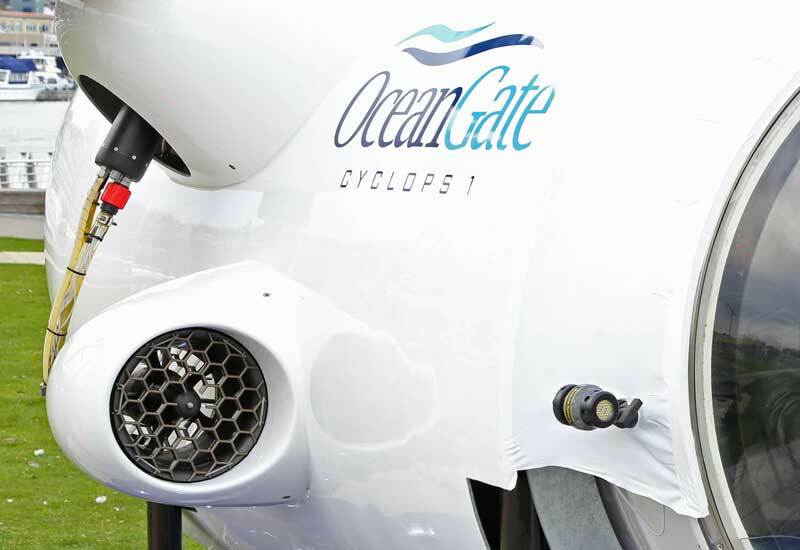 Cyclops has two horizontal thrusters and two vertical thrusters. 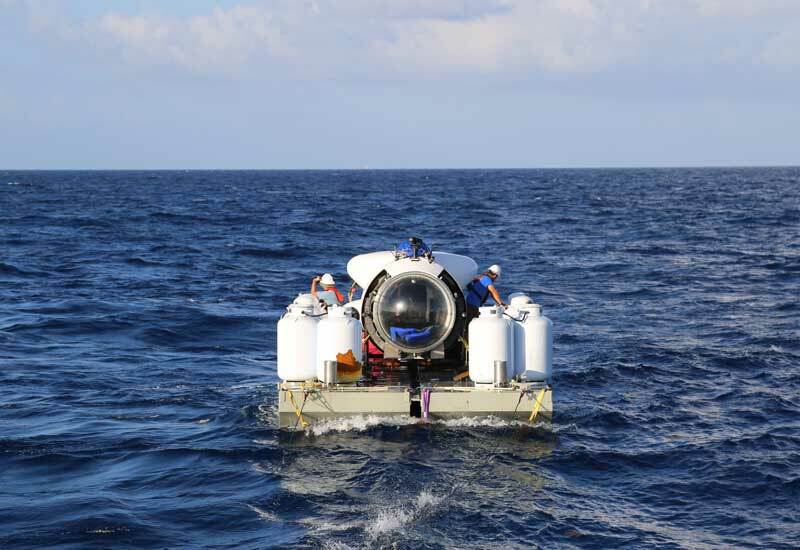 Cyclops lifts off of LARS to begin a dive to a depth of 457 meters. 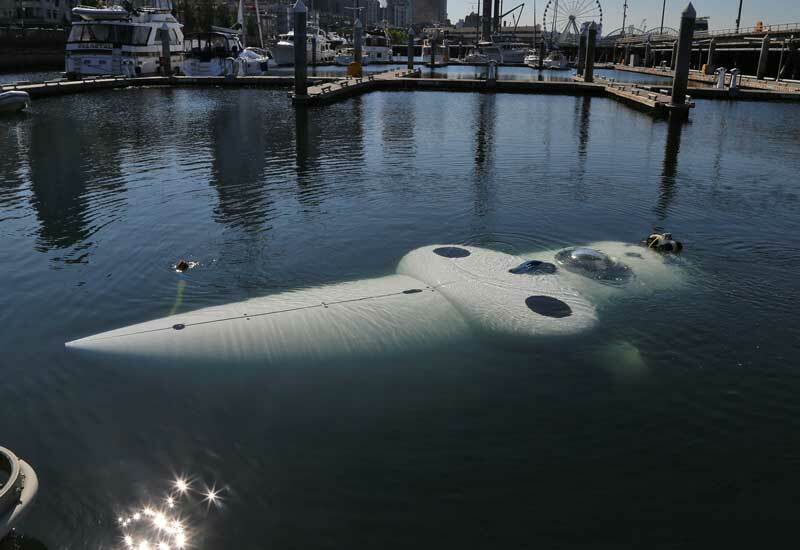 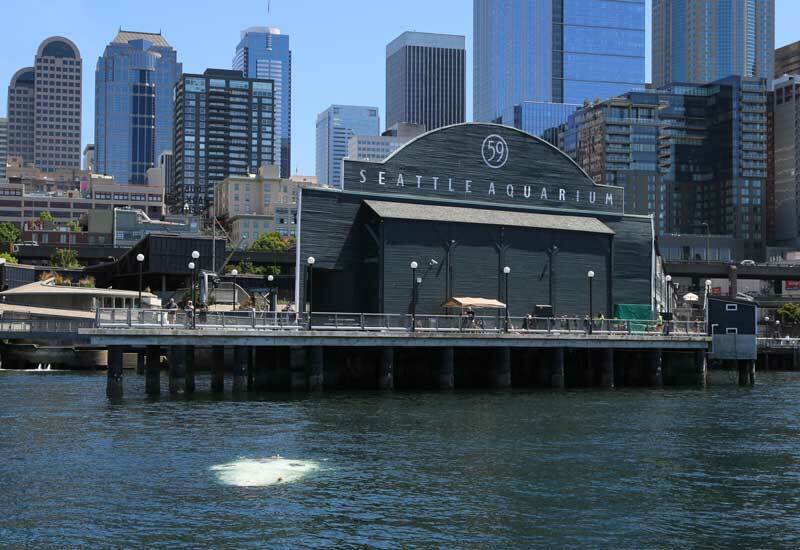 Cyclops begins a dive near the Seattle Aquarium. 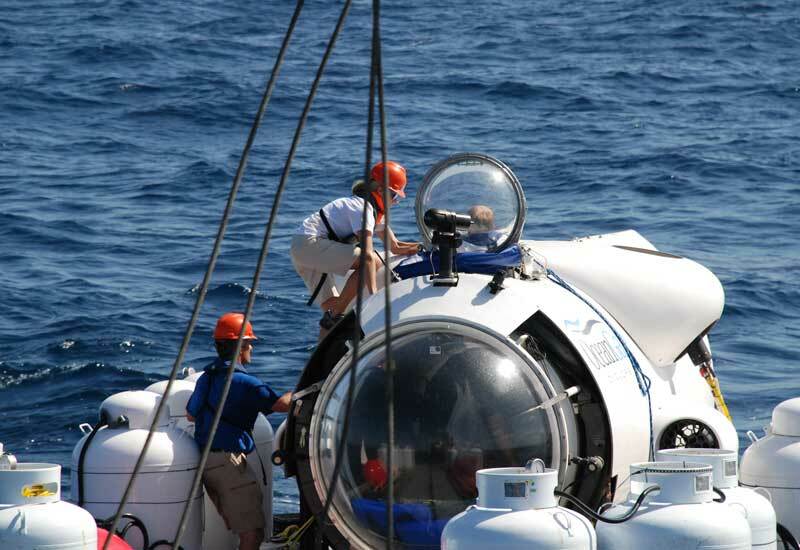 Cyclops is loaded onto LARS at the start of the Flower Garden Banks Expedition. 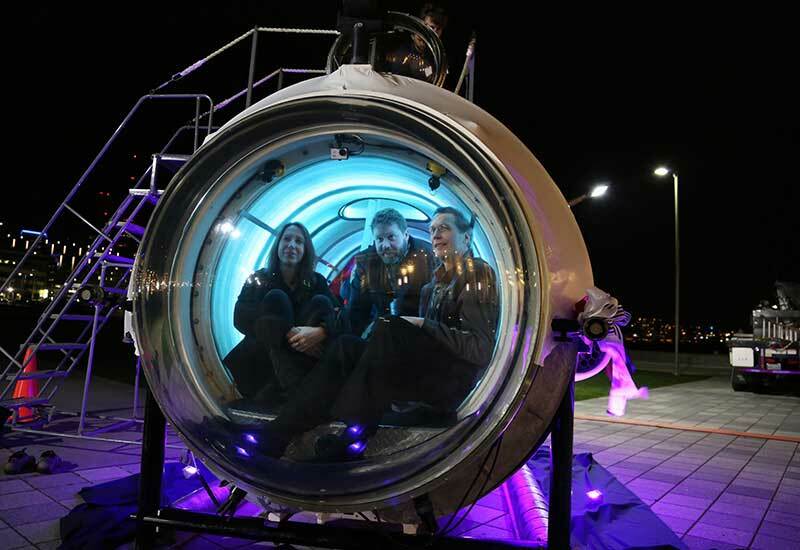 Cyclops 1 illuminted with interior and exterior lights. 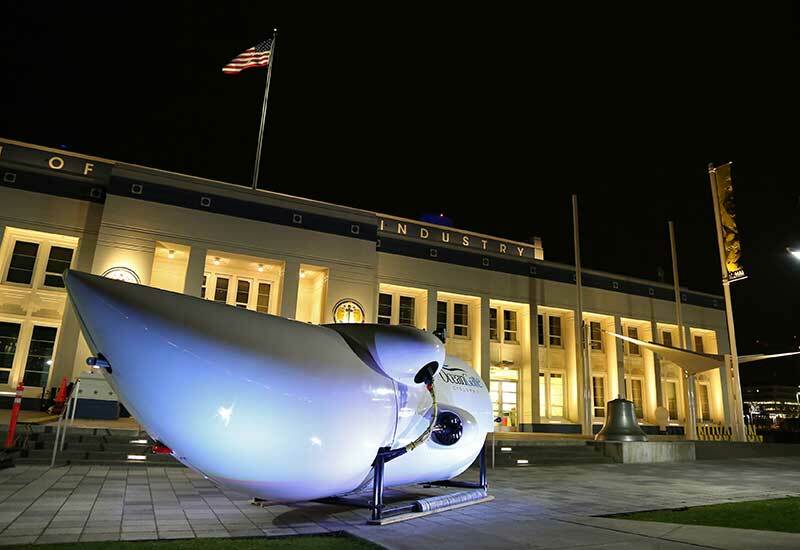 Cyclops 1 on display at the Museum of History and Industry. 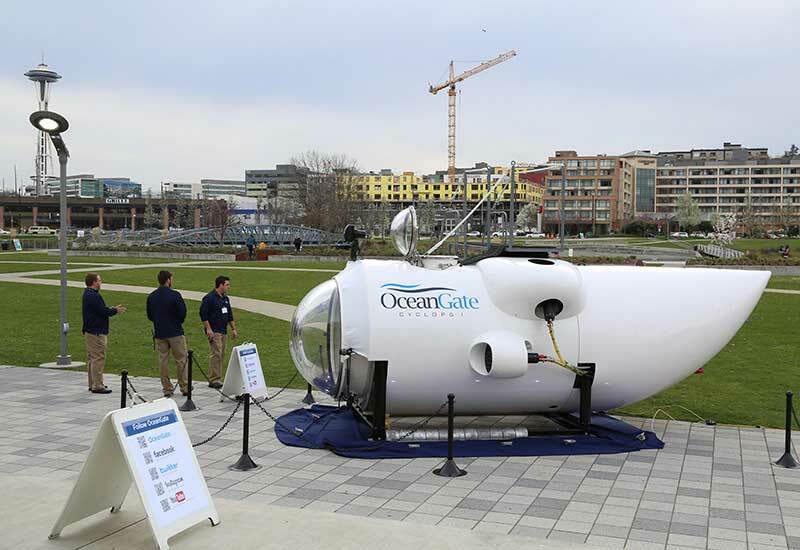 Cyclops 1 on display in Seattle. 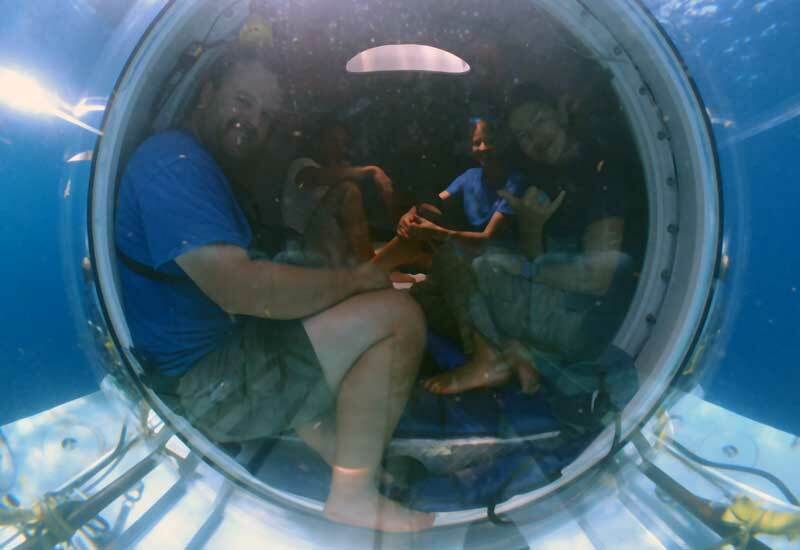 Large viewport provides great views for up to five crew.